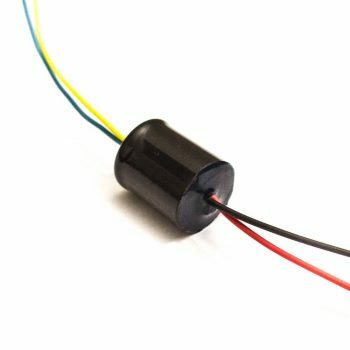 RE-254 is premium quality ribbon motor (transducer element) for use in DIY Ribbon Microphone projects. The chassis are precision CNC machined from high quality steel with best suitable magnetic properties and then nickel plated. RE-254 motor comes fully assembled, the aluminum ribbon is installed by our experienced and skilled technician. 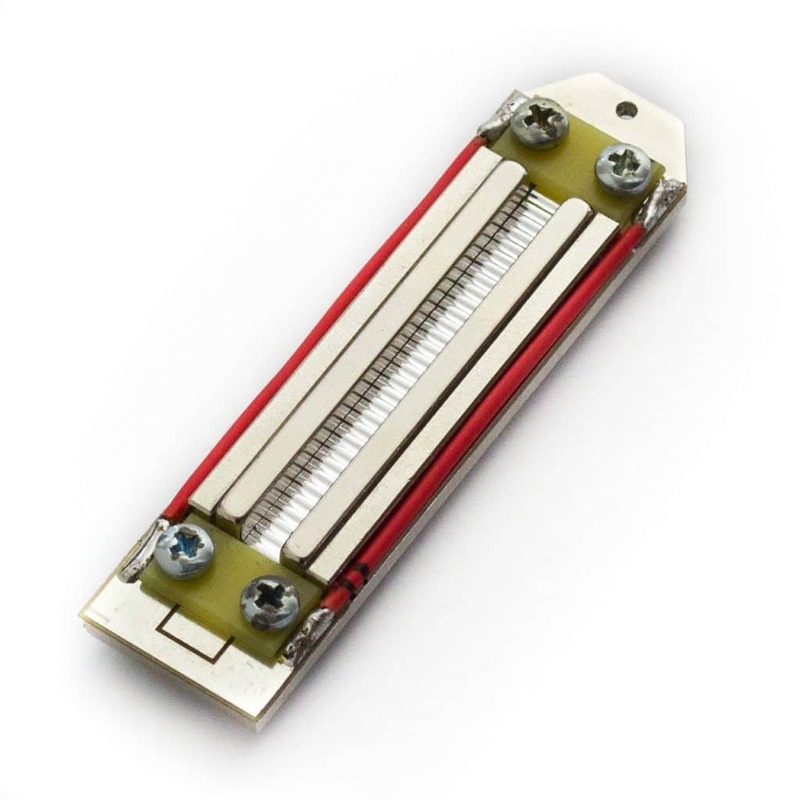 RE-254 is premium quality ribbon motor (transducer element) for use in DIY Ribbon Microphone projects. The chassis are precision CNC machined from high quality steel with best suitable magnetic properties and then nickel plated. RE-254 motor comes fully assembled, the 2.5 micron thick aluminum ribbon is installed by our experienced and skilled technician. 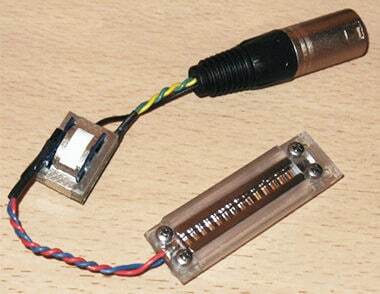 How to make a microphone using an RE-254 motor? As You might know, electric circuitry of a classical ribbon microphone consists of two parts only: the motor itself and a step-up transformer. For normal studio use the third required component is a generic male XLR plug. 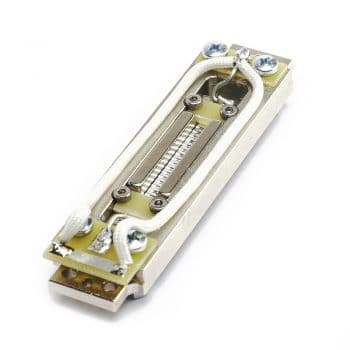 Just solder these three parts together (5 – 6 solder points only) and you’ve got a working and ready to use ribbon microphone assembly! Yes! 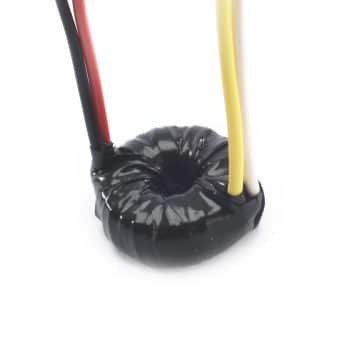 Check out the photo (to the left) of a full working assembly made from an old RE-154 DIY ribbon motor with a plastic frame (now discontinued) and a generic output transformer below. 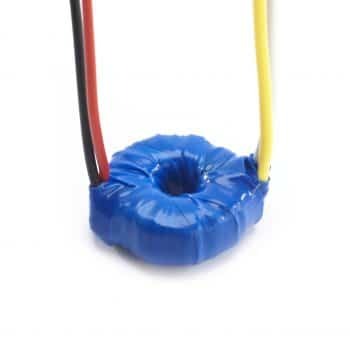 Such assemblies are solid enough for most studio applications when soldered carefully. I have used such plain assemblies for recording by hanging the motor on a mic stand with a piece of wire before I designed the body. Recently I discovered how delightful they sound on female vocals. They are very open sounding, they never get harsh and have tremendous transient detail. I am also using them for a project recording a singer with an acoustic guitar. The off axis rejection if these mics means that with clever positioning I can really reduce bleed when tracking vocals and guitar live. The RE-254s are also handy if you have a singer that is difficult to de-ess because they just don’t seem to require any de-essing (My U67 often needs quite a bit of post production love). Here is an example of the RE-254 on female vocals. Really displays what can be done with this lovely microphone. I replaced the original 2.5 micron RE-254 motors with the new 1.8 micron ribbon motors. Wow, all the oomph of the original but more open and transparent. If you want vintage smooth get the 2.5 micron ribbons, but if you want all the oomph of the 2 inch with a slightly more modern and open sound, go for the 1.8 micron ribbons. Artur has really done an excellent job bringing these premium components to market. Highly recommended.